Community-based approach treats school construction as a community learning opportunity to better understand risks, collectively commit to safety, and to learn and apply strategies for safer construction. All children deserve safe, accessible and culturally appropriate school buildings — regardless of class, creed, gender or ability. When children live in hazard-prone places where high winds, earthquakes, floods and other hazards threaten them, they need schools and grounds that protect them. Yet recent disasters around the world attest to the fragility of many schools. 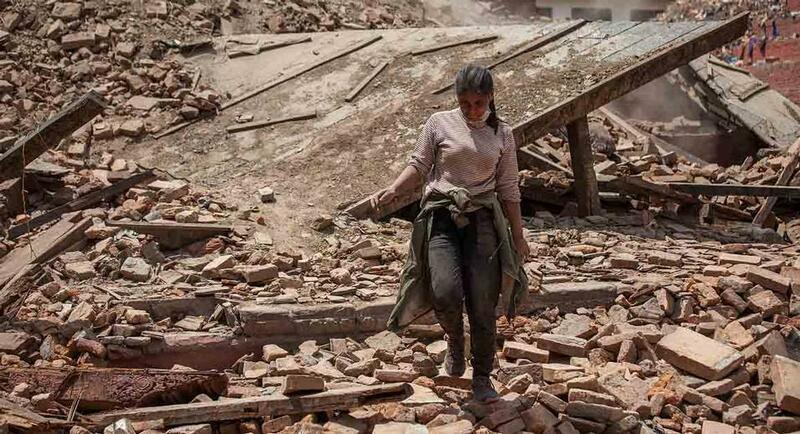 Earthquakes in China, Pakistan, Haiti and other countries have collapsed school buildings and crushed students. Flooding, storm surge and tsunamis have swamped schools in Japan, the United States, Thailand and countless other nations. Rising waters have damaged school grounds and destroyed educational material. It has kept students out of school for weeks and months, stunting development. High winds have blown off roofs and collapsed school buildings in Ghana, Laos, Nicaragua and the Philippines – to name a few. Students, staff and community need safer schools. When schools will be used during crisis, safety has an added dimension. Communities need to be able to access and safely shelter in these school facilities. Schools can be built safer and weak schools can be strengthened with concerted effort. When communities identify hazards and take them into account when planning where and how to build, school grounds become safer. When design teams and construction workers incorporate hazard-resistant techniques in construction, the school building becomes safer. These safer schools protect students, staff and other occupants from death and injury and become points of refuge for the wider community. However, achieving safety is not always straightforward. In many places, building codes lag behind best practices or fail to address vernacular construction. Those who design and construct schools may be unfamiliar with hazard-resistant techniques or lack the oversight needed to ensure such techniques are put to use. School communities may inadvertently weaken schools through years of informal building modifications or poor maintenance. The result is schools that threaten communities rather than protect them. A community-based approach seeks to achieve the twin goals of safer schools and more resilient communities. It treats school construction as a community learning opportunity to better understand risks, collectively commit to safety, and to learn and apply strategies for safer construction. A community-based approach builds community capacity in tandem with the laying of foundations and erecting of classroom walls. It also prepares communities to be knowledgeable caretakers of schools, able to maintain the physical safety of the structures and the culture of safety among those who use it.